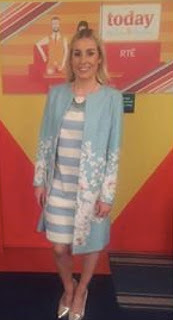 Delighted to have 1801Vintage featured on RTÉ's Today Show ! 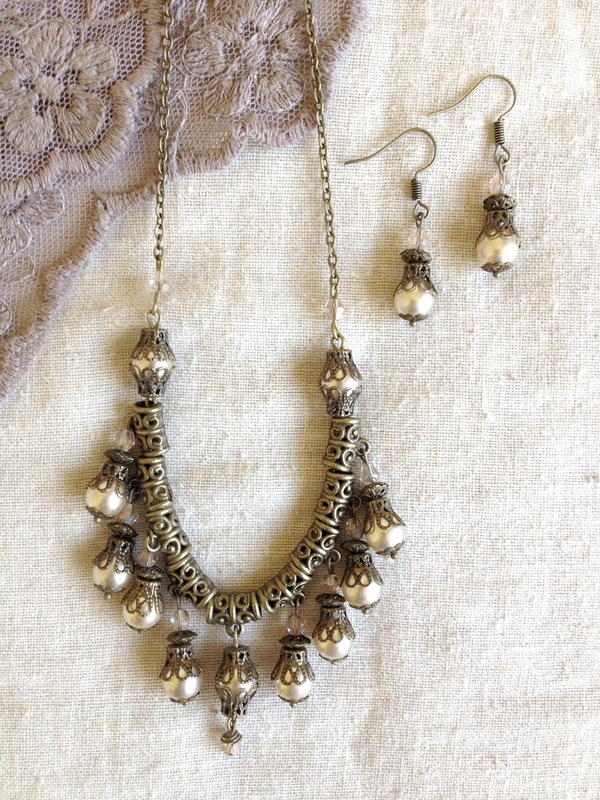 Layered Vintage Inspired Necklace and Earring Set now available from 1801Vintage. 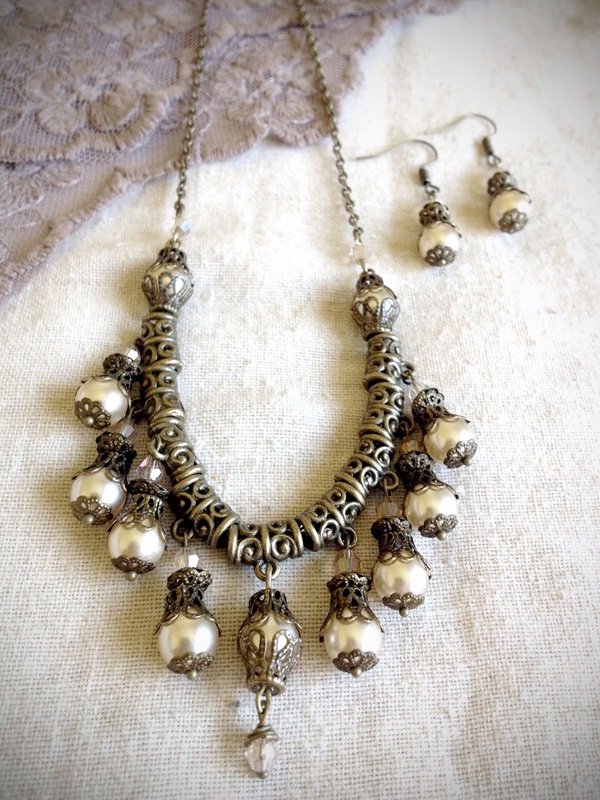 Antiqued Bronze, combining bohemia crystal, warm toned pearls and delicate filigree. This antiqued bronze beaded necklace is another assemblage piece featuring Bohemia crystal, rocaille beads, and hand stamped text sealed under glass. Using aged bronze elements as a base I combined wire wrapped beading, filigree and stamping to create this one of a kind necklace. Measuring 24" (60cm) in length, this necklace will hang at 12" (30cm) with an additional 3" (8cm) for the focal piece, this long rosary style necklace is truly a statement piece. 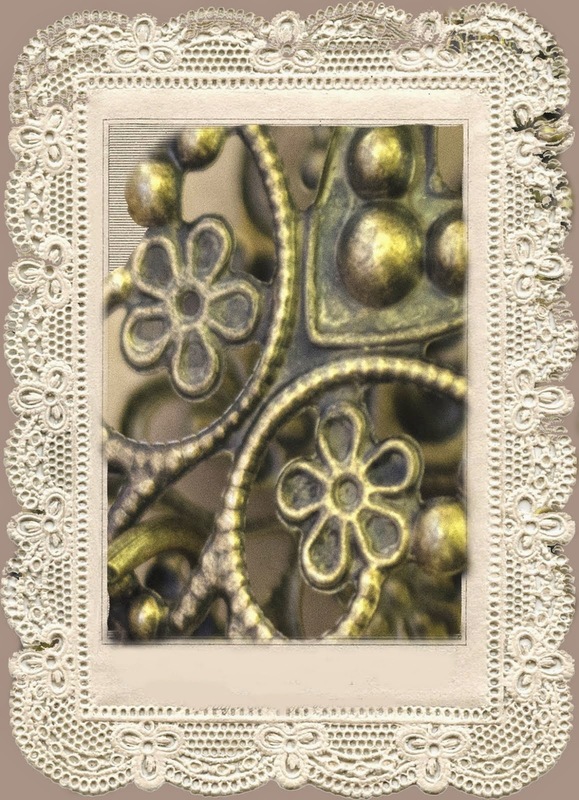 Using antiqued filigree, vintage buttons and hardware components these pendants repurpose materials, layering textures to create one of a kind adornments. 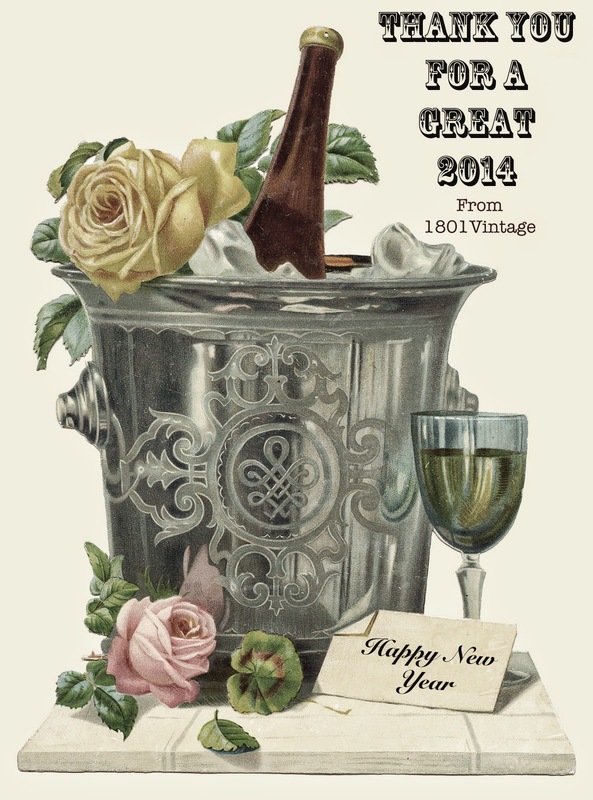 To celebrate the early days of 2015 1801Vintage is now holding a sale. Offering 10% off any item in store for a limited time. 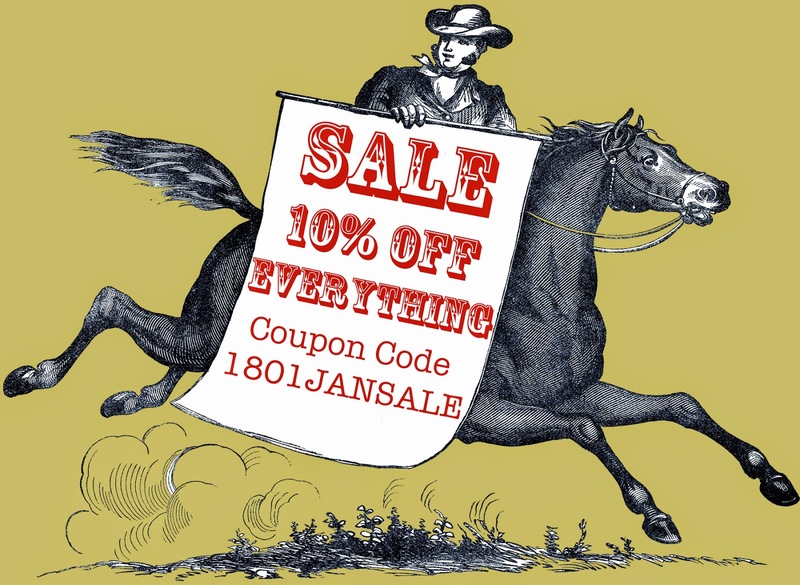 Visit 1801Vintage before January 31 and apply the coupon code 1801JANSALE to your purchase to avail of the offer. In early society colors and materials turned an otherwise normal object such as a stone into an protective amulet. This amulet is designed based on these ancient traditions of using stones and symbols to bestow the wearer with protection. Using earth toned stones combined with wood and metals this amulet is all about connecting to nature. Created in a timeless boho style using traditional techniques of wire wrapping this pendant is unique and one of a kind. The Tiger's Eye stone is said to bestow on the wearer focus, strength, determination and patience. It is a stone that attracts good fortune. The Jasper I have used in this piece has colours and textures like desert sand, brown jasper is renowned for relieving anxiety, worry and panic. It is connected to the earth and is said to restore balance in the wearer. A unique and uplifting gift or an amulet to bring you balance and good fortune, this pendant is a focal pieces of jewelry. Wire wrapped mixed metal necklace with crystal and pearl accents. 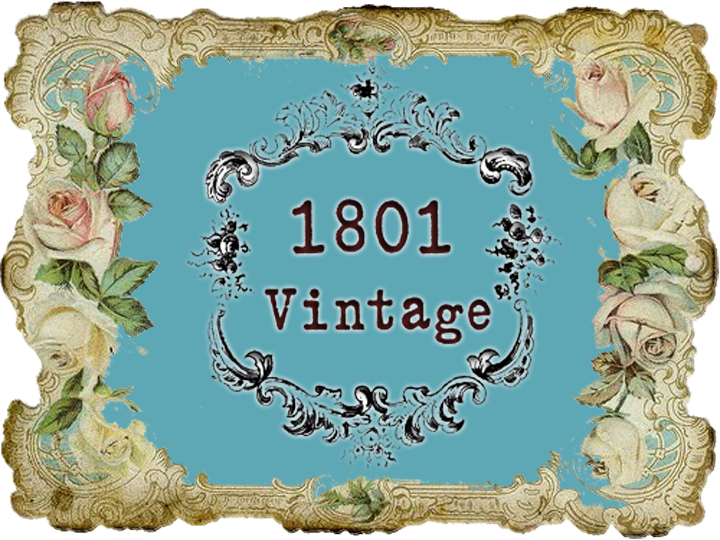 Welcome to 1801Vintage wearable pieces of vintage inspired treasure. 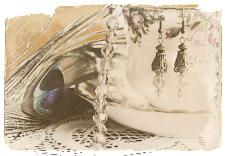 My jewelry is created with notions of the brocante, discovered treasure and timeless elegance. 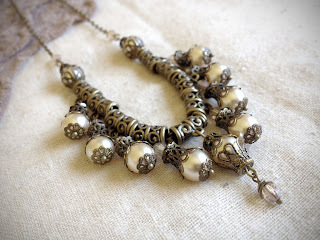 There is nothing quite like discovering a one-of-a-kind feature piece of vintage allure, at 1801Vintage the jewery is designed and handcrafted to evoke an elegance and nostalgia of bygone days. 1801Vintage focuses on Vintage Inspired Handmade Jewelry. 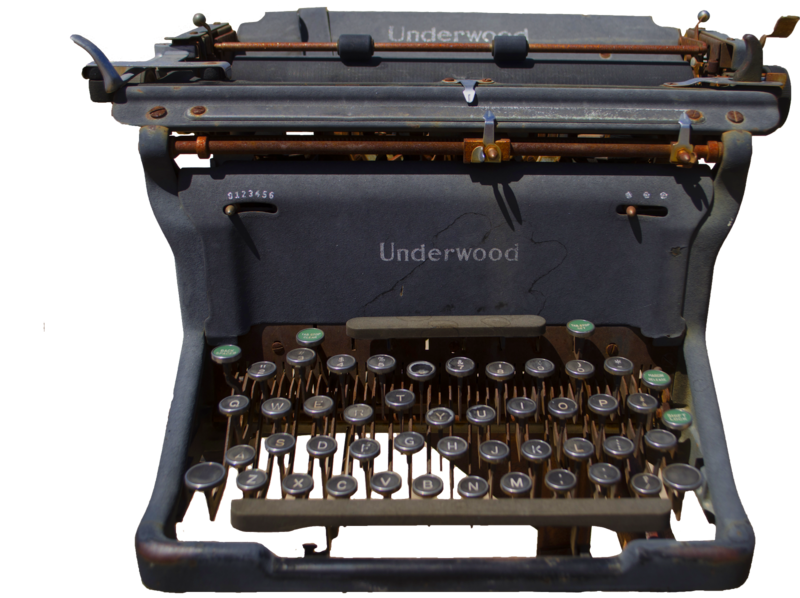 Follow Sharyns Needle's board 1801Vintage Jewelry on Pinterest. 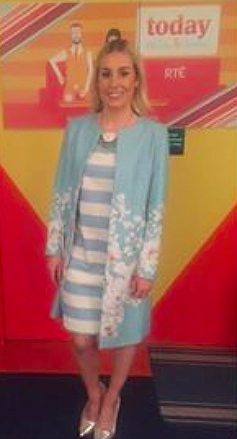 Follow Sharyns Needle's board Dreamy Beautiful Things on Pinterest.